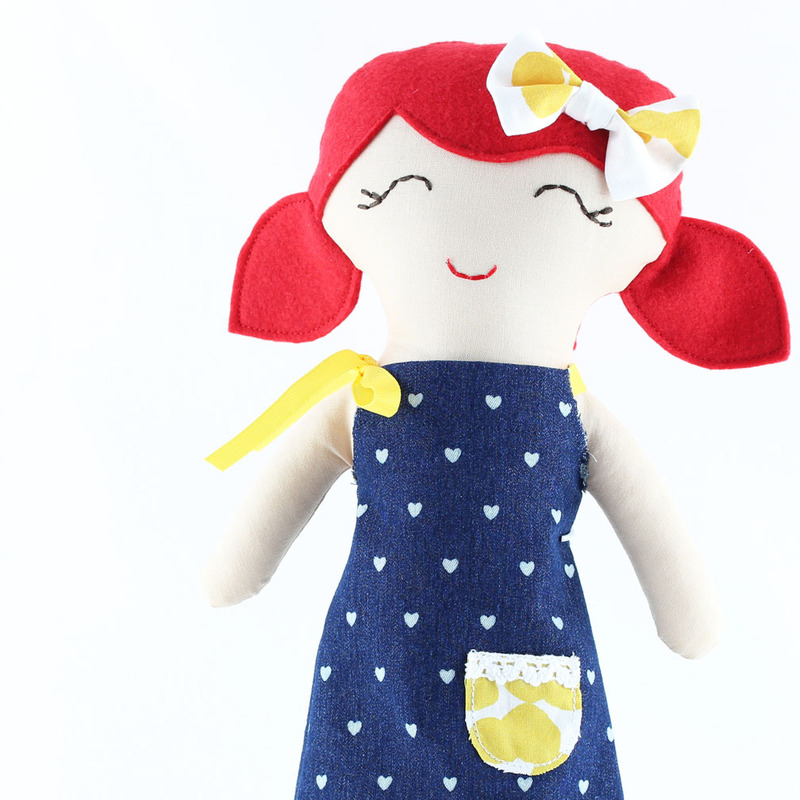 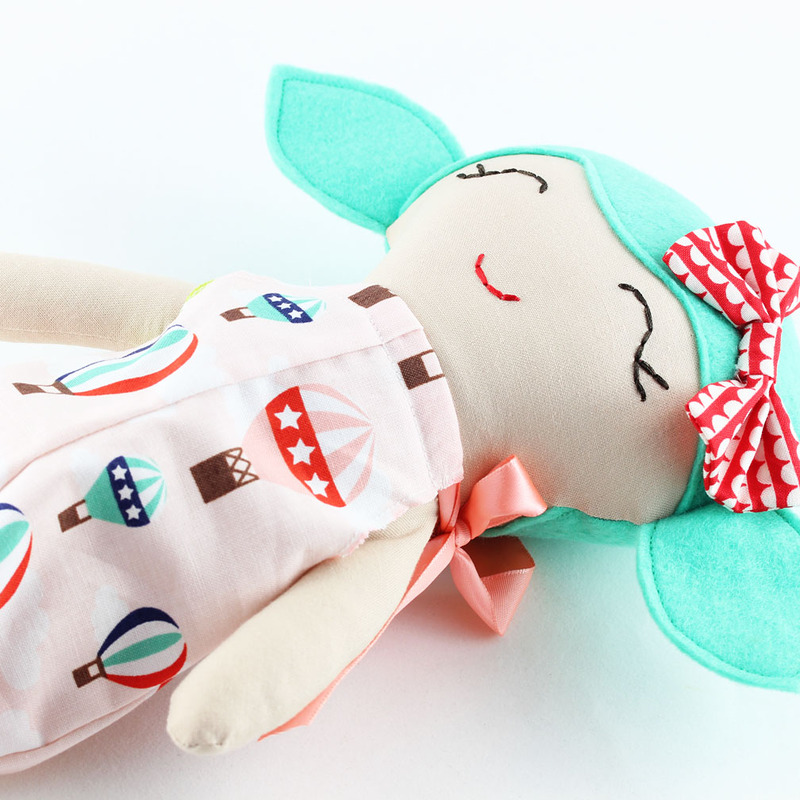 New doll in the shop this week. 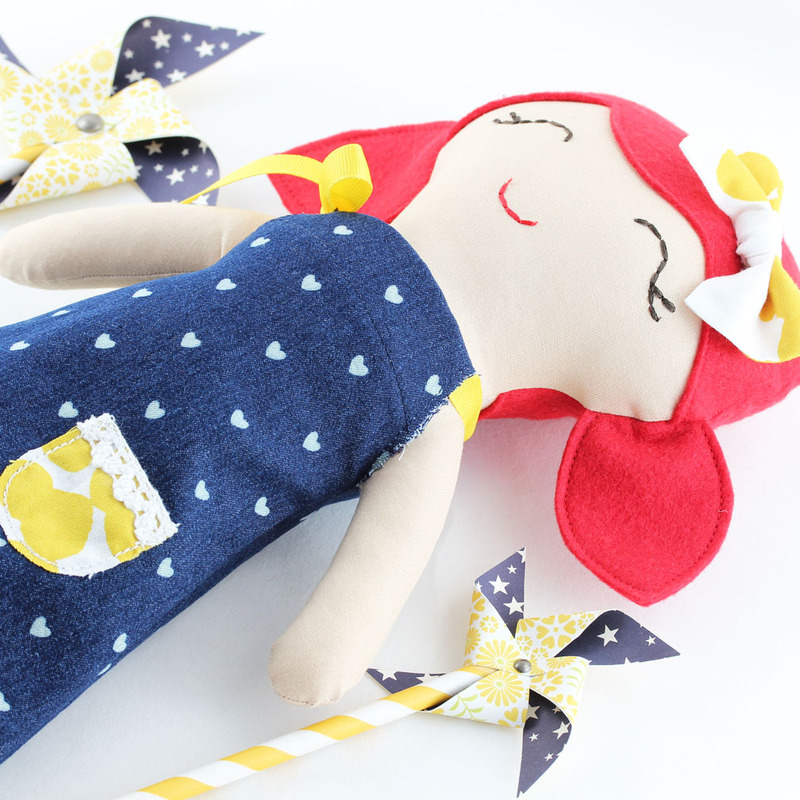 Skylar is spirited, spritely, and special. 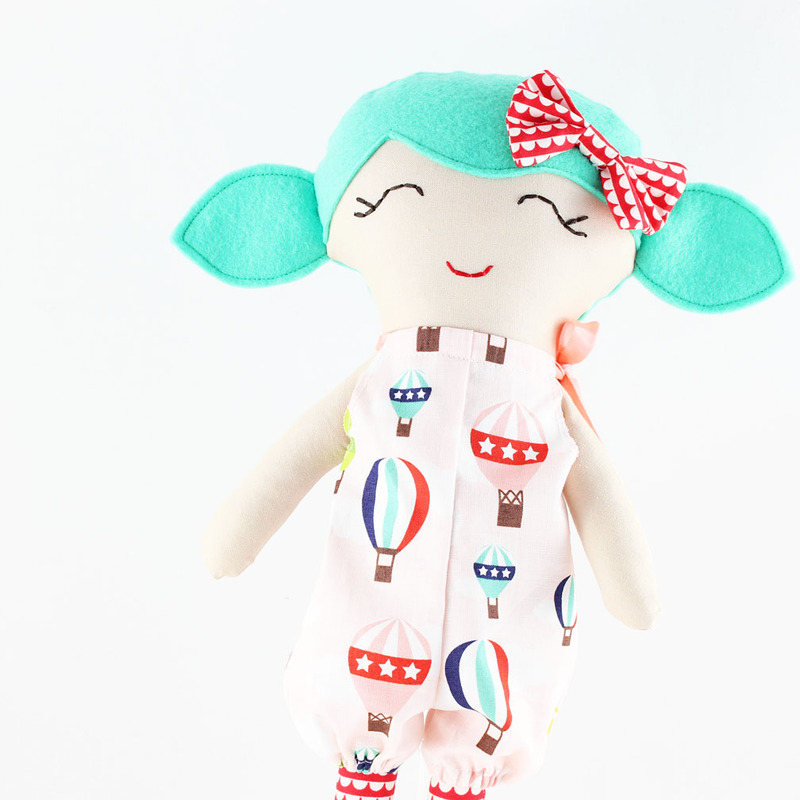 She is dressed in a fun hot air balloon romper with red and white scalloped tights. 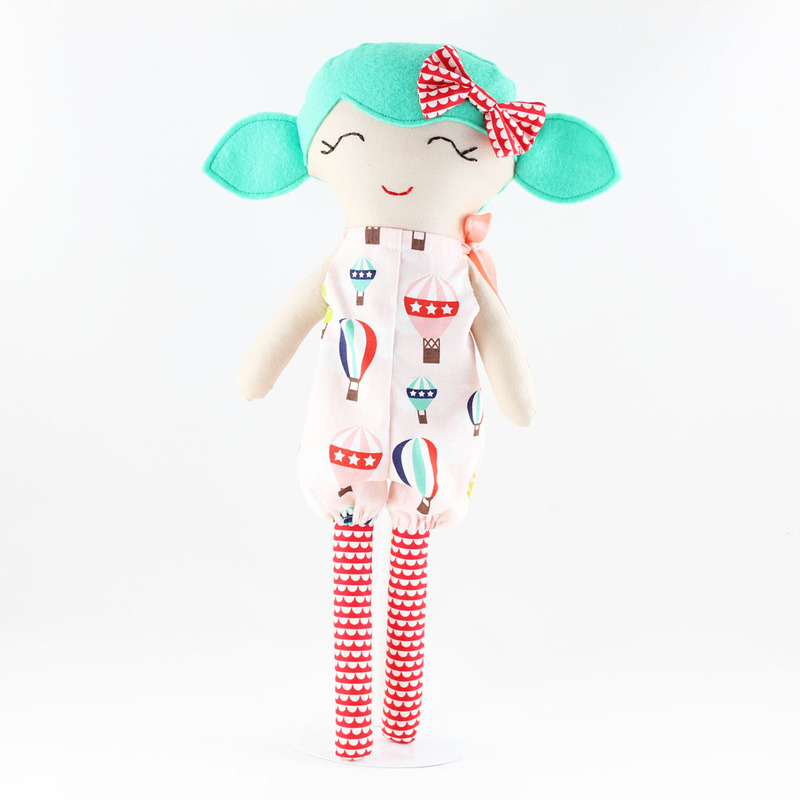 Her hair is made of bright mint green wool felt with a hair bow in coordinating color. 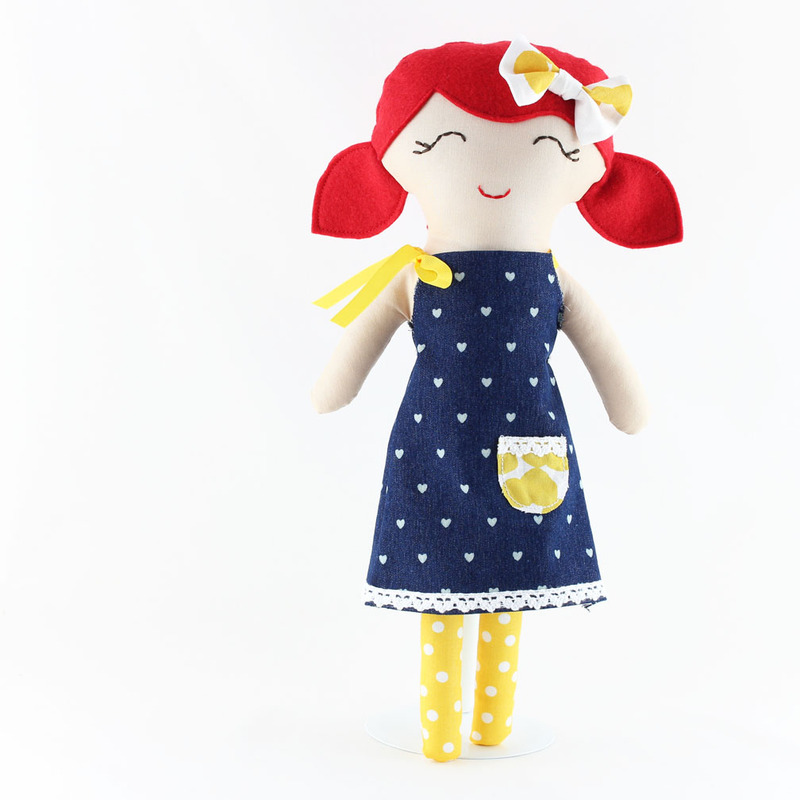 Louisa is dressed in a heart woven denim dress with a yellow dotted cotton body. 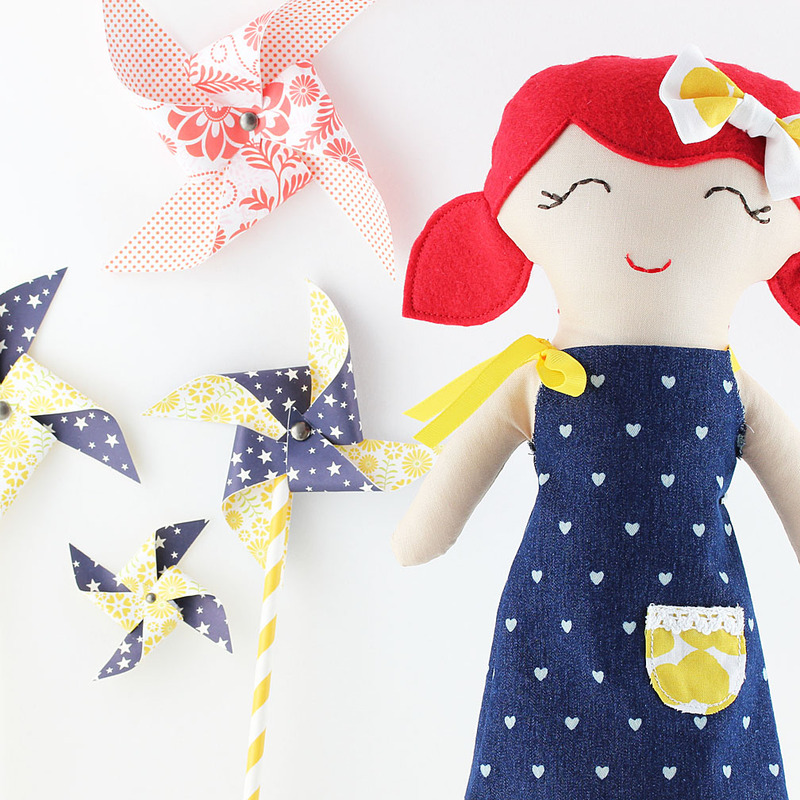 Her hair is made of a vibrant red wool blend felt with a hair bow in coordinating color.